The World’s Largest Flower Garden in the Middle of a Desert. 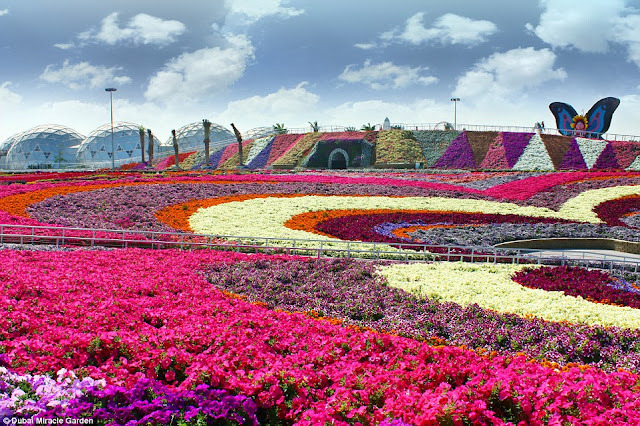 Well, the world's largest flower garden in the last place you would expect, a spectacular rainbow-colored oasis with more than 45 million flowers is in the middle of a desert exploding with colors and textures. 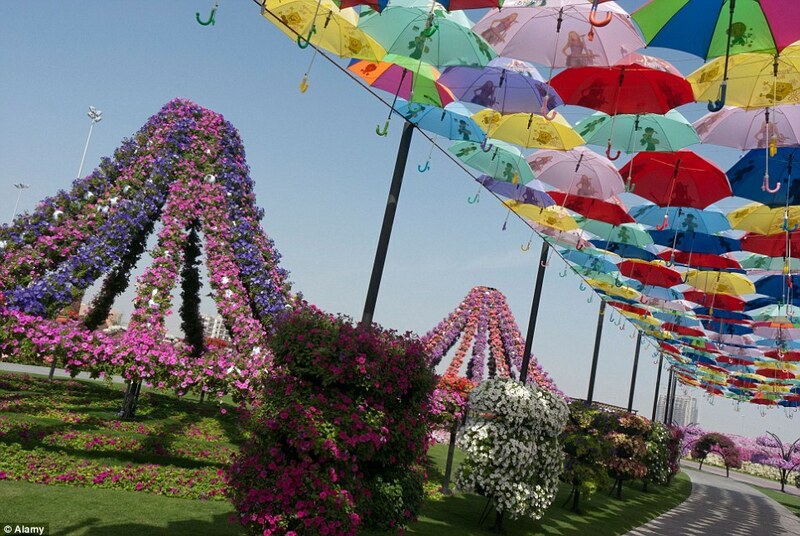 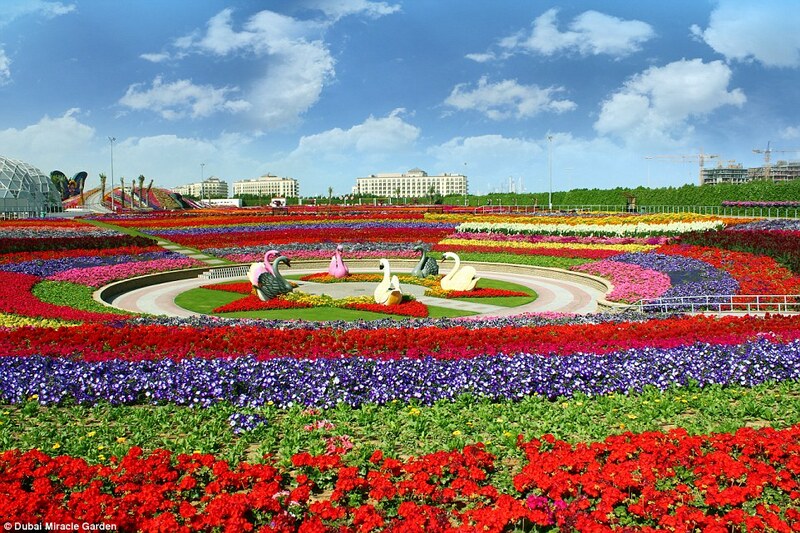 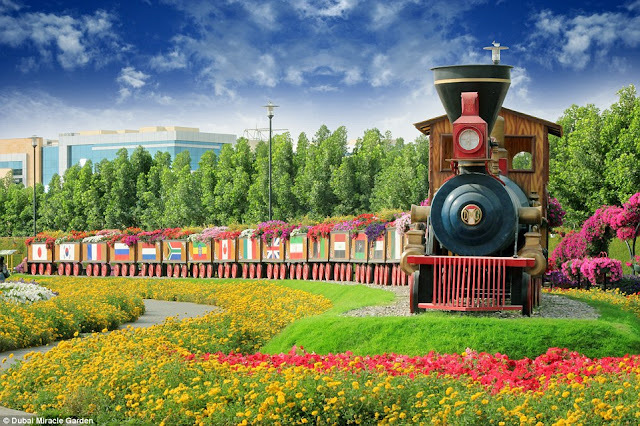 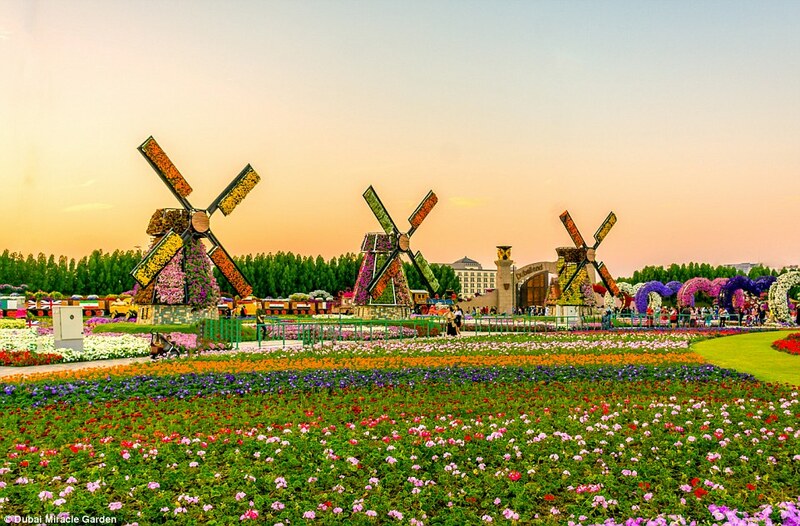 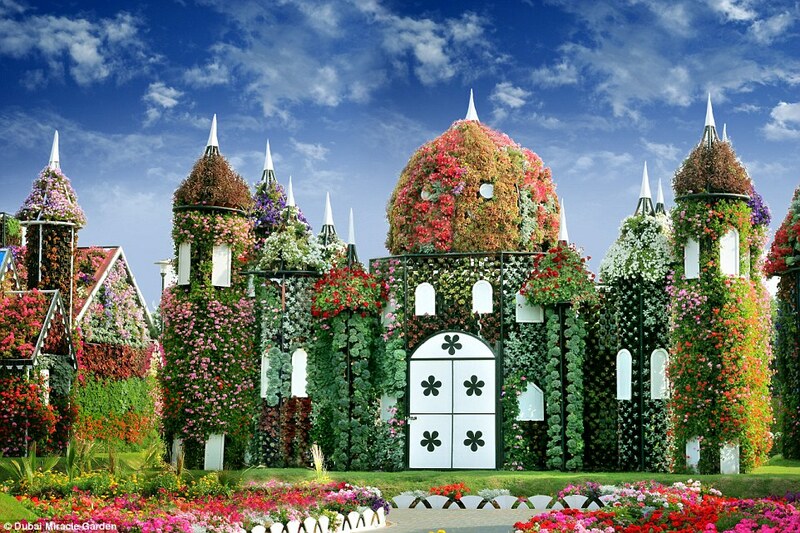 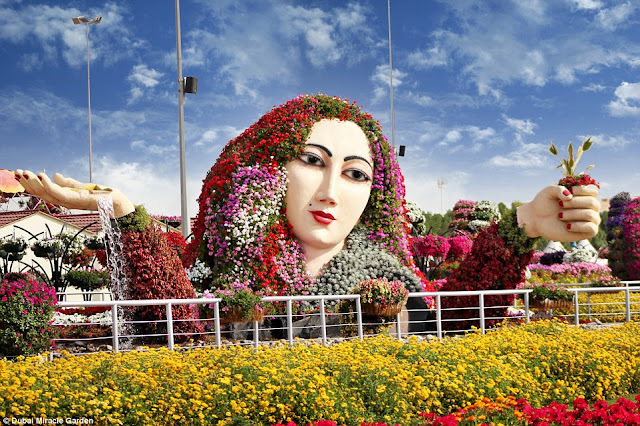 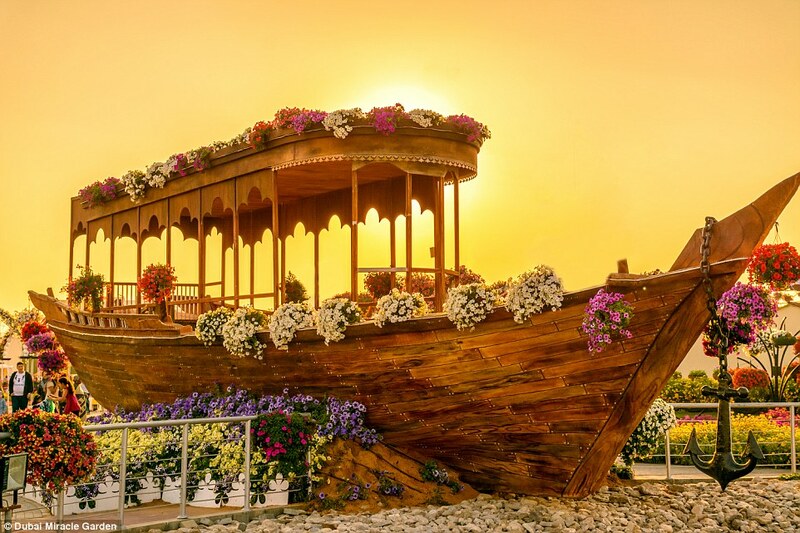 The Dubai Miracle Garden consists of more than 45 flowers species imported from all over the world. A multitude of shaped archways, flowerbeds and structures can be seen at the 18 acre site, is watered by a system that recycles waste water while avoiding evaporation. But then again, in the city that prides itself on pushing the boundaries of what can be achieved - from the world's tallest building to indoor ski slopes in the desert what can you expect? 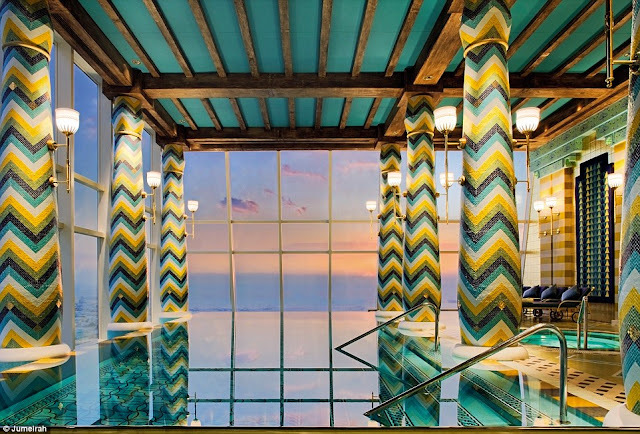 The remarkable bonanza provides a colorful oasis for the eyes of city workers, who can escape to the natural splendor which is nestled close to Arabian Ranches, in Dubai land. 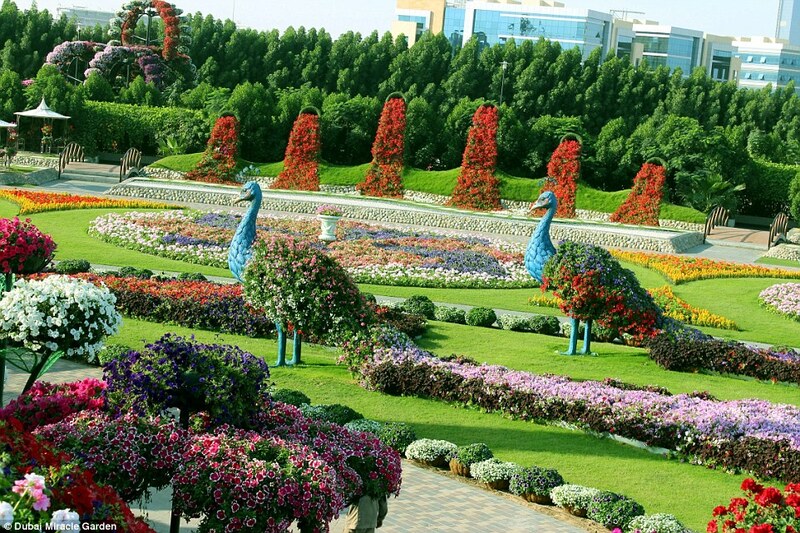 Currently there’re 45 species of flowers in the garden, which are imported in from all around the world, especially from Egypt to the United States. 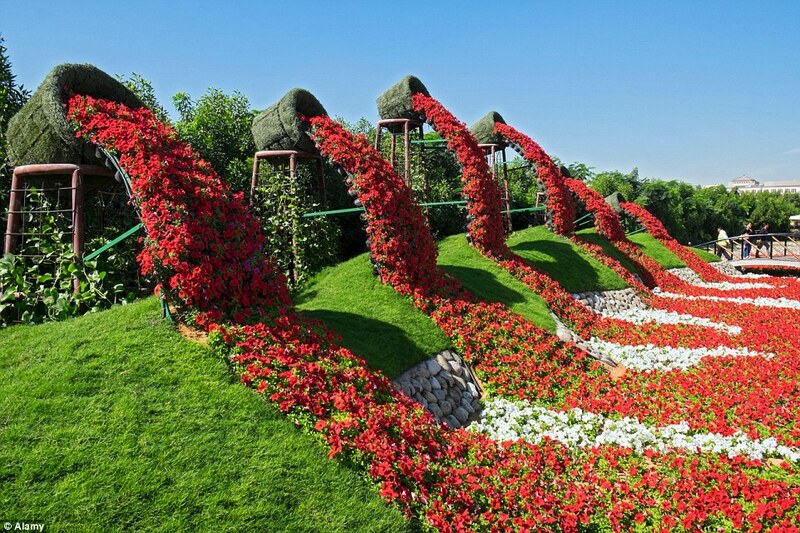 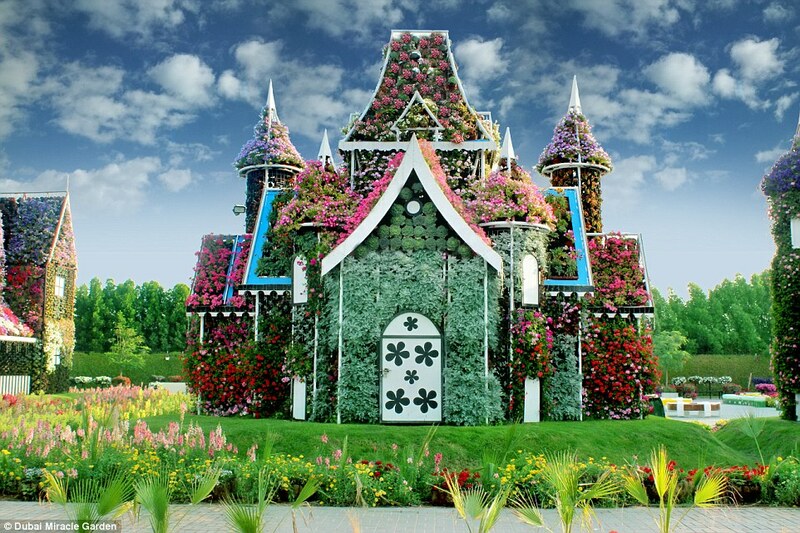 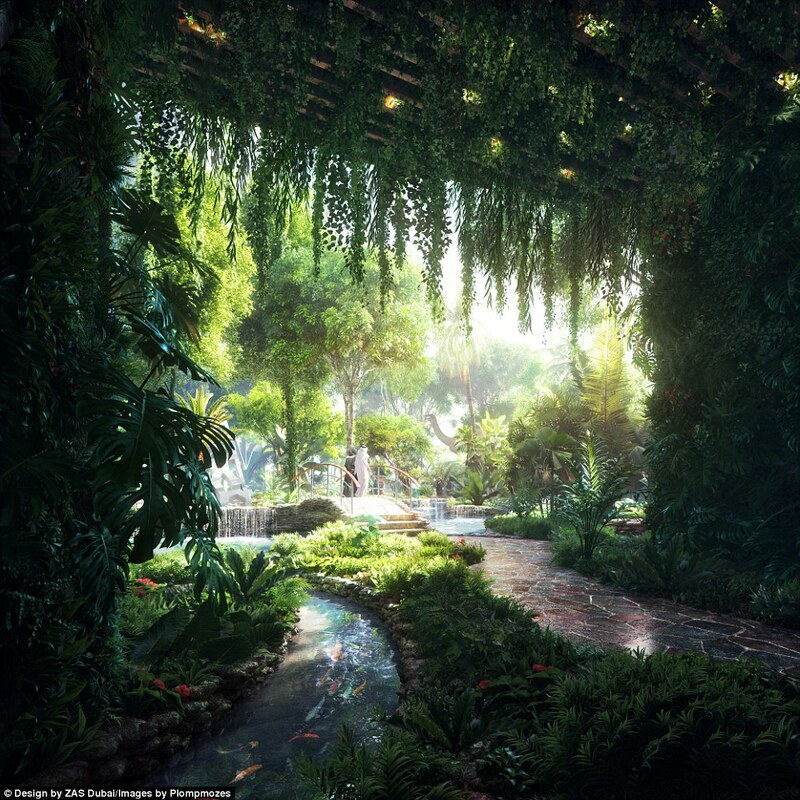 The Dubai Miracle Gardens were opened in 2013, and were designed to attract tourist all over the world. 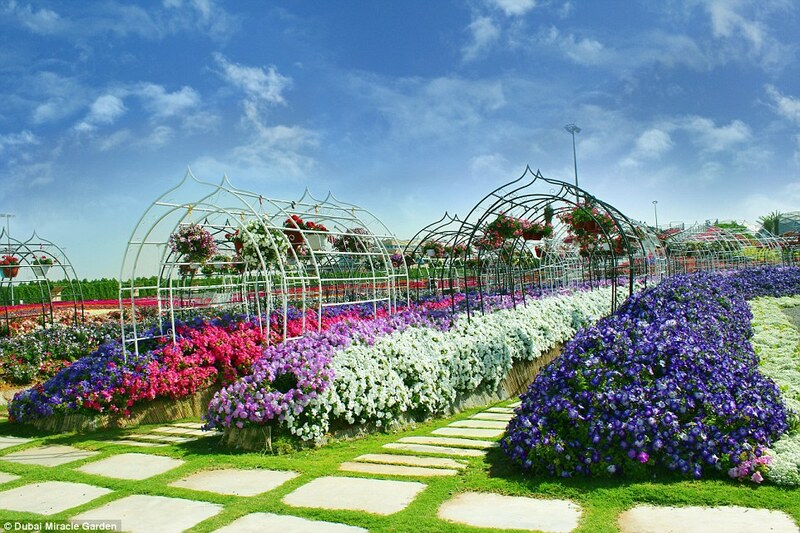 In order to produce a fresh experience for visitors visiting the rainbow gardens, the displays are changed seasonally. 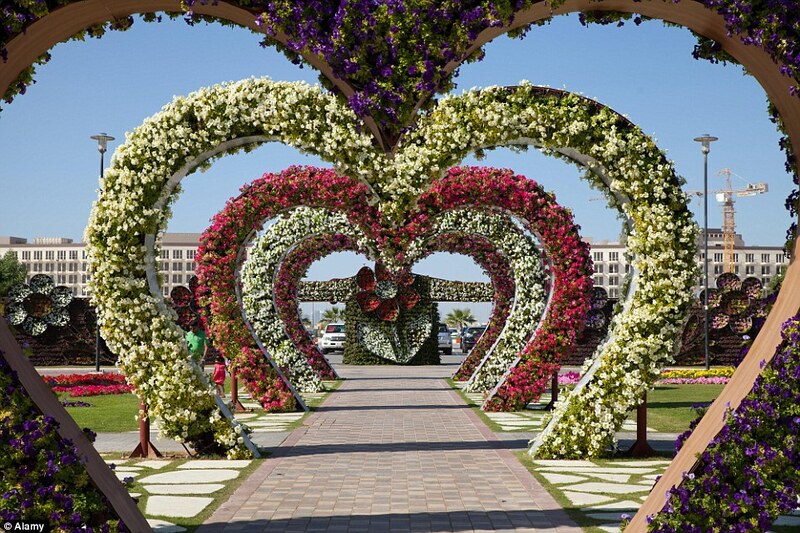 These’ve included millions of flowers in the shape of a UAE floral flag, floral clock, a Ferrari car with driver decorated by flowers, a vertical buried car zone, flower apple structures, artificial animals, flower boats and an Islamic Arch Design. 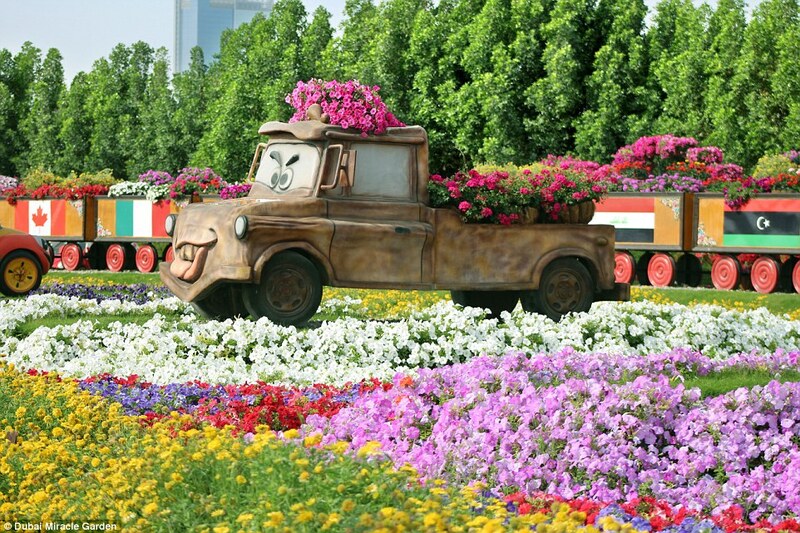 It is obvious that attractions would not be complete without open parking, VIP parking, sitting areas, prayer room, toilet blocks, security room, ablution facility, first aid room, and carts for handicapped visitors, retails and commercial kiosk and all other related services available to facilitate visitors. 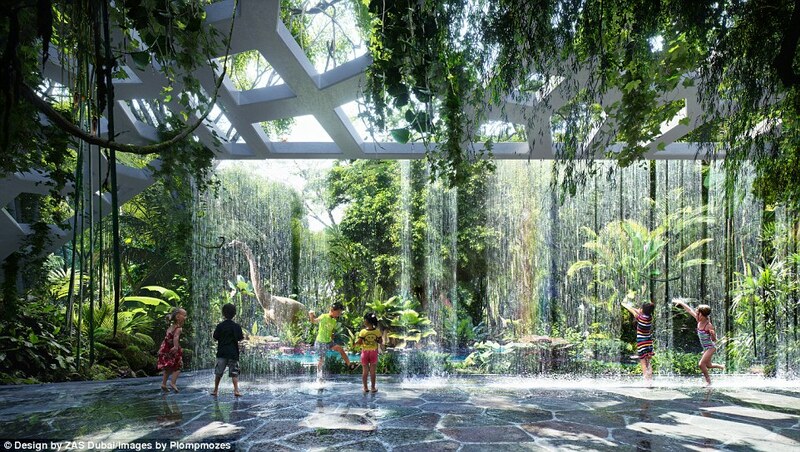 If the natural landscape was not sufficient, what makes this attraction mostly impressive is the unique sub-surface irrigation system that recycles waste water via drip irrigation while avoiding evaporation and saving up to 75 % of water and energy. 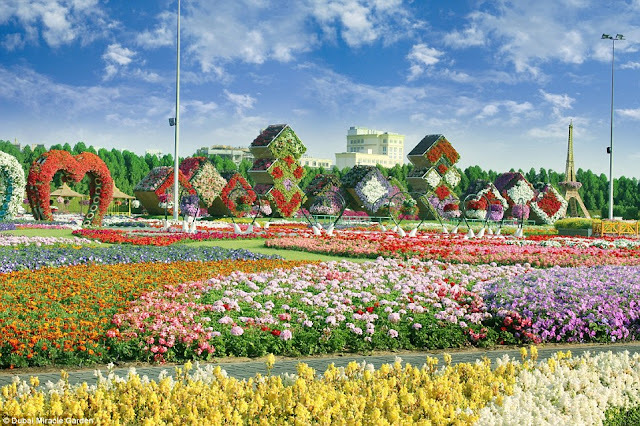 Moreover; there’s an awe-inspiring assortment of flowers most of which are rare and seen for first time in the Middle East, such as petunias and geraniums. 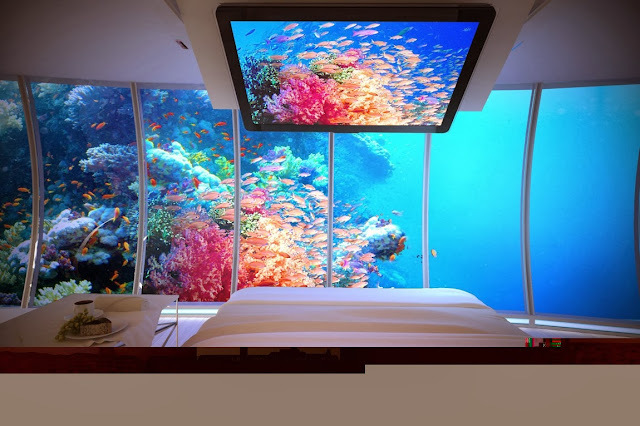 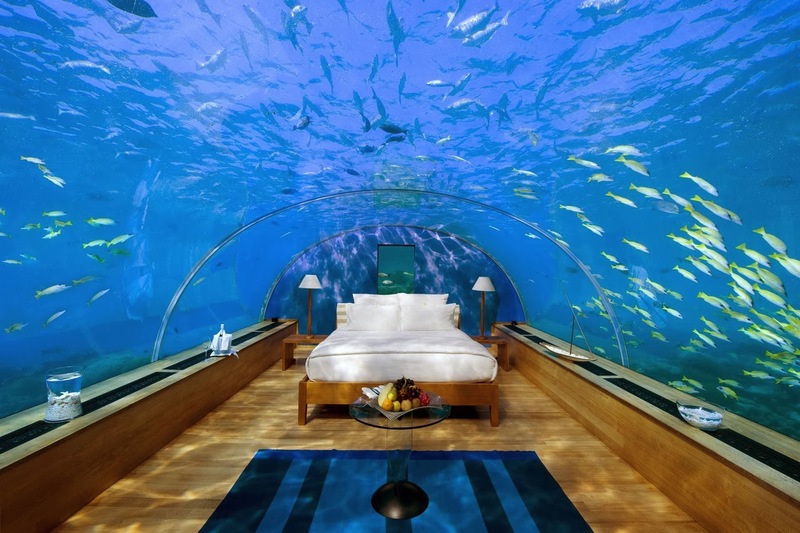 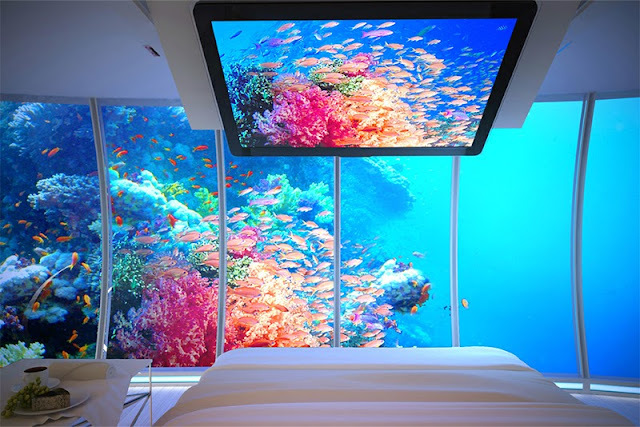 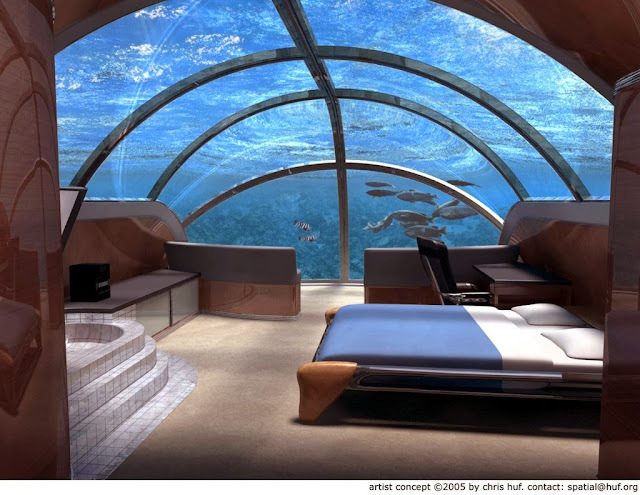 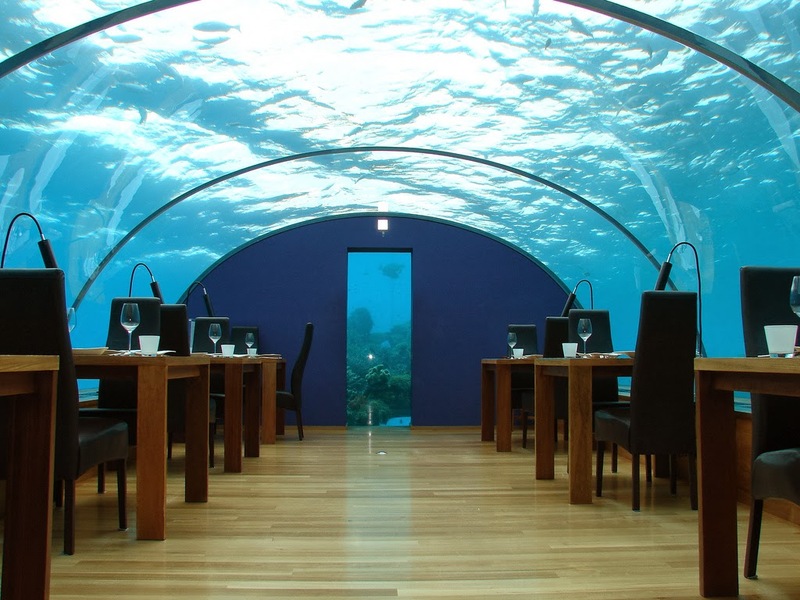 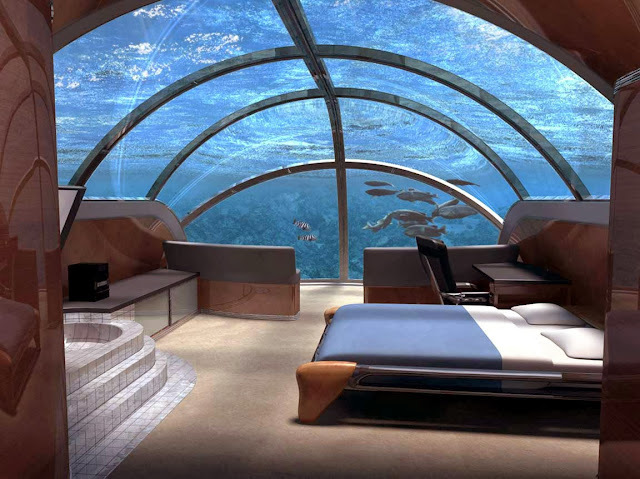 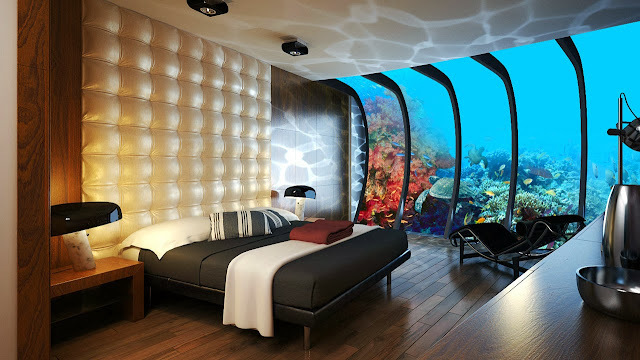 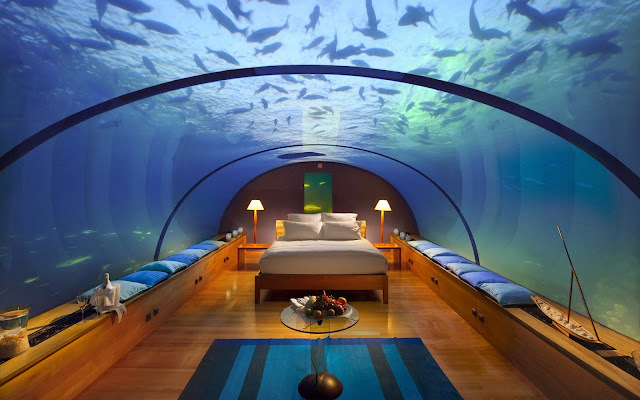 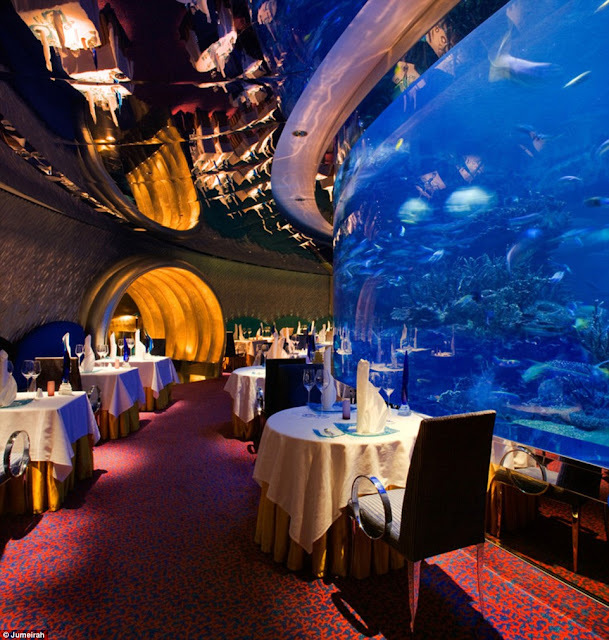 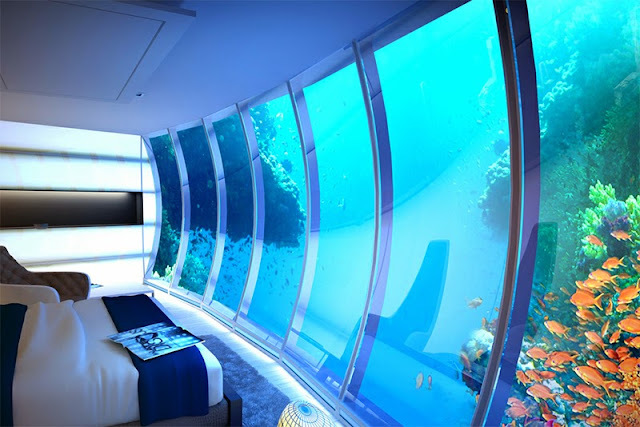 If you wanted to see most thrilling and exciting views then Underwater Hotel Dubai is finest place for you. 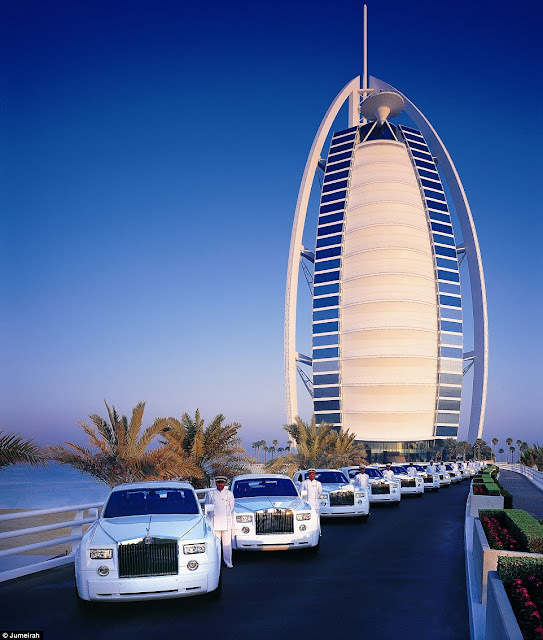 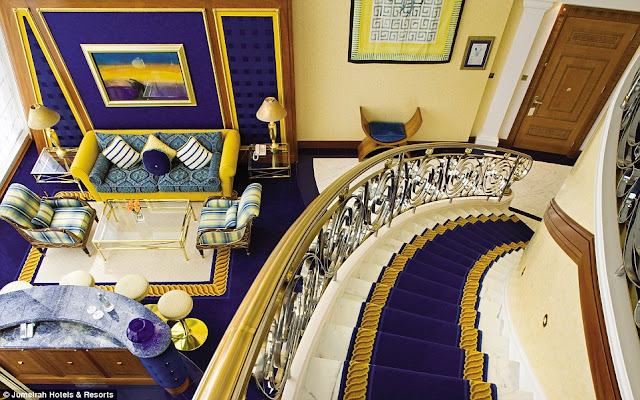 Around the world, it is one of the most exclusive, hotels that offer world class accommodations. 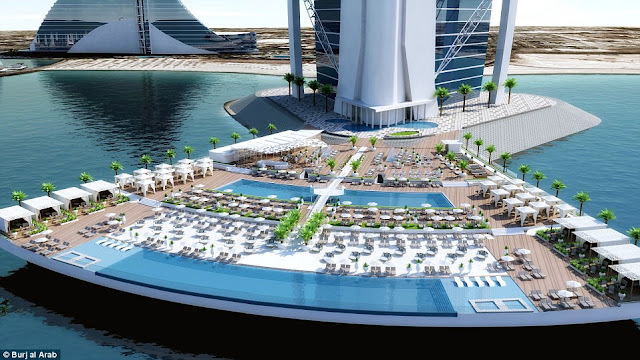 It is also famous for the biggest and expensive construction with a state of art facilities as well as features. Staying at the hotel is indeed a very memorable experience that you could treasure in your whole life. It is a very expensive hotel yet it is one of the most rewarding hotels to stay in. 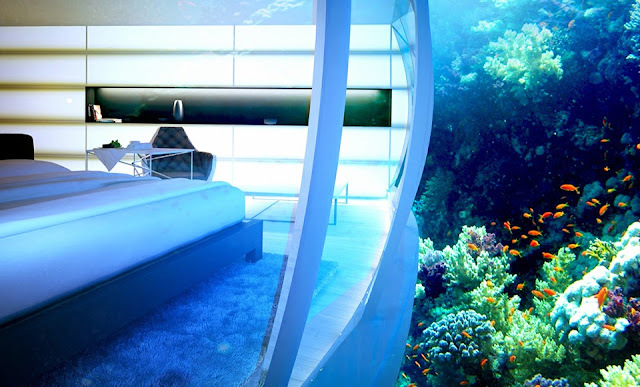 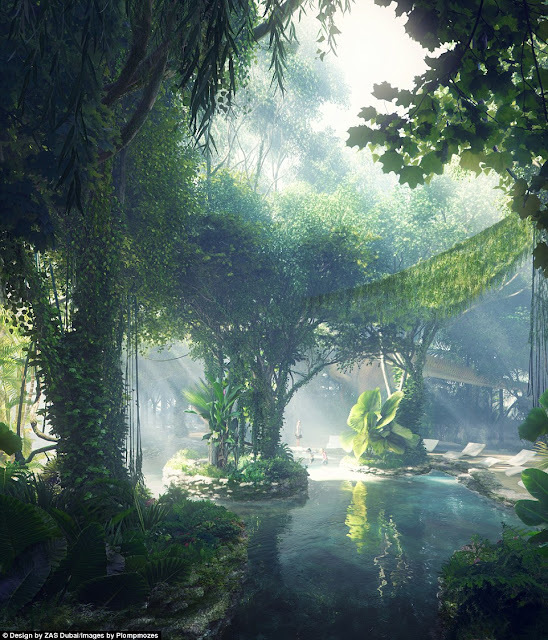 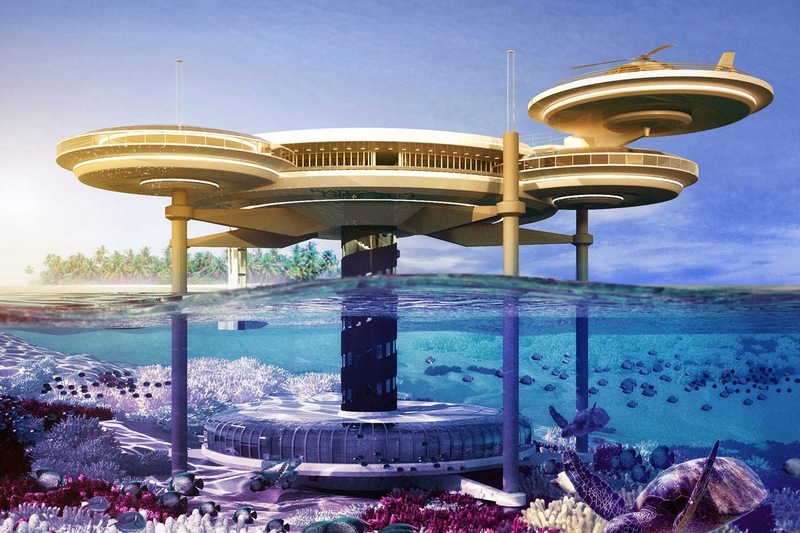 Hydropolis Underwater Hotel is a beautiful concept for your summer vacation. 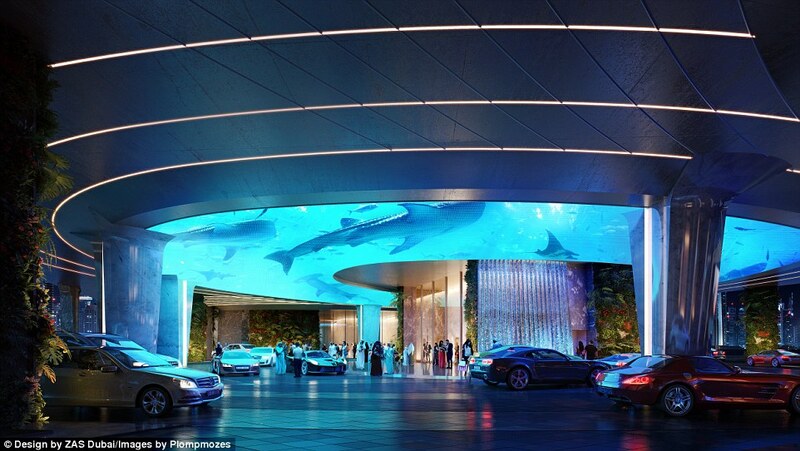 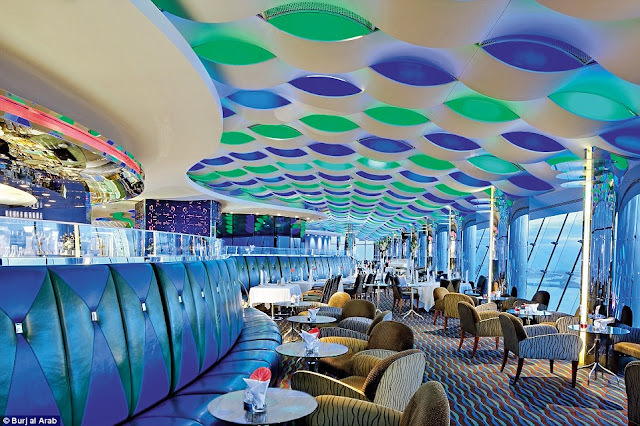 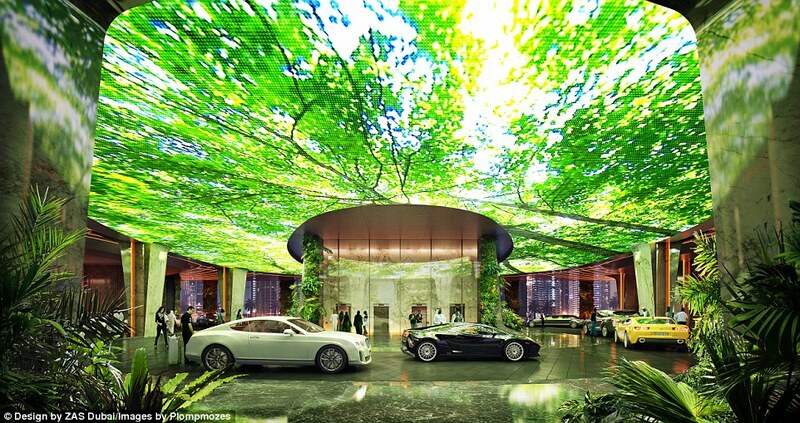 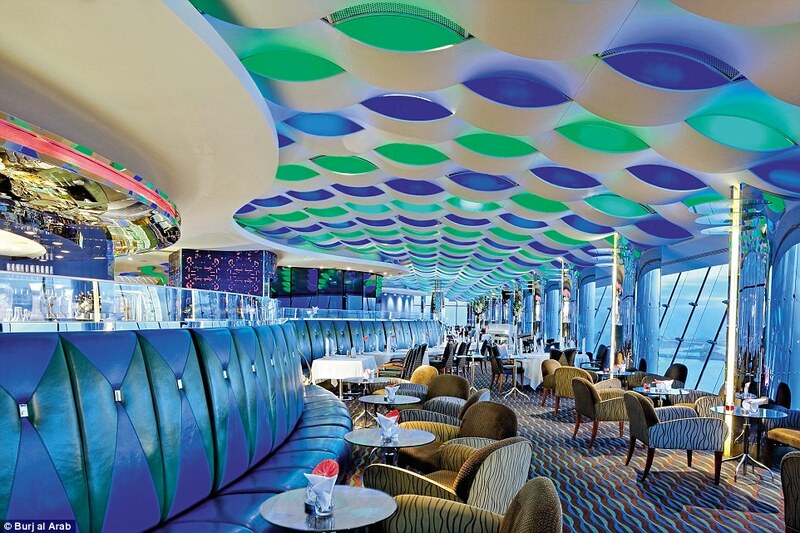 Indeed this is unique & luxurious concept under the sea and first such megaproject in the world. This fabulous Hydropolis Underwater hotel has several places for your perfect holiday, as it sees the real sea beauty under beneath the sea. 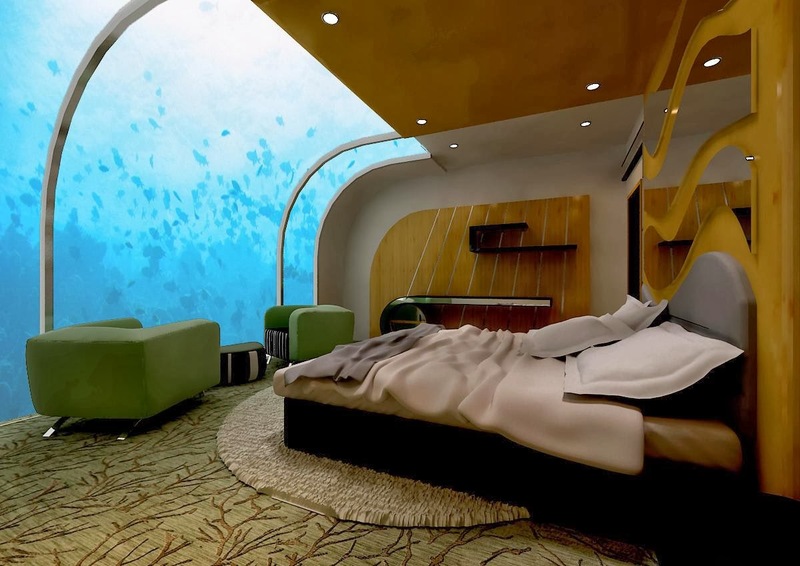 Above you may have the sea view which is very remarkable and sight the sun sink. The Hydropolis Underwater Hotel is situated 30 meters below the surface of the Persian Gulf off the coast of Jumeirah in Dubai. 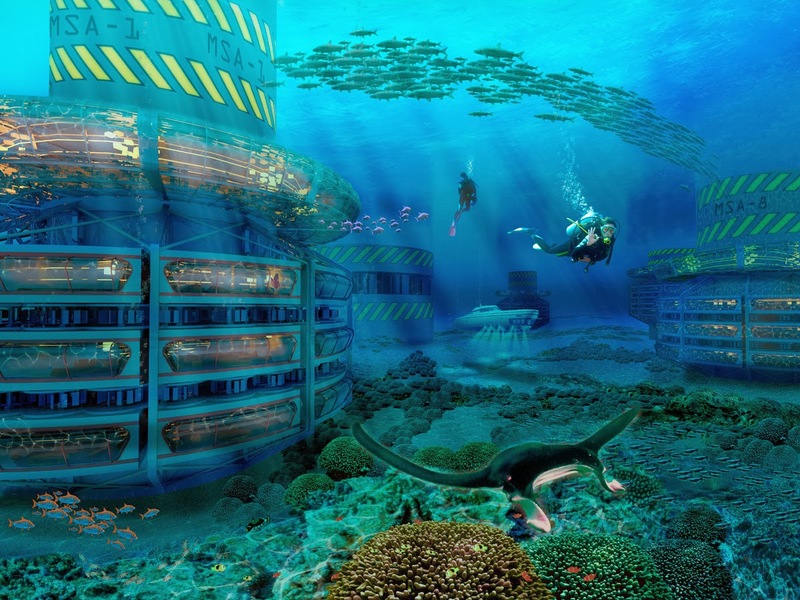 Tourists will be greeted by the underwater exquisiteness and recreation under the water. 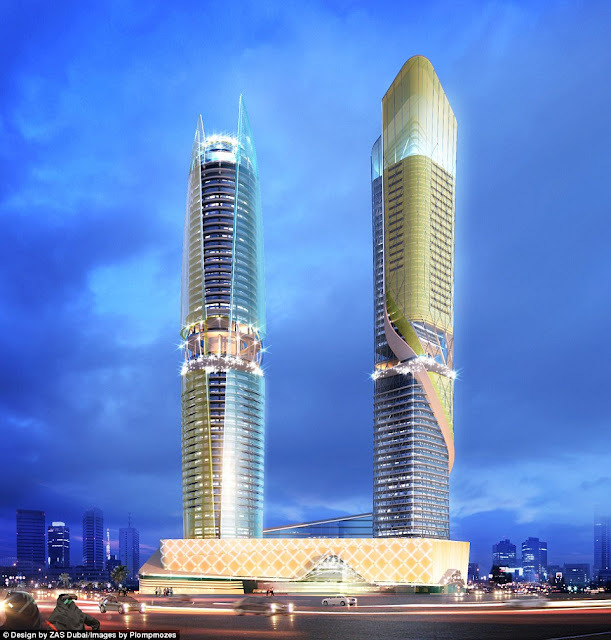 This Hotel is one of the largest modern construction projects worldwide and has 261 hectares. 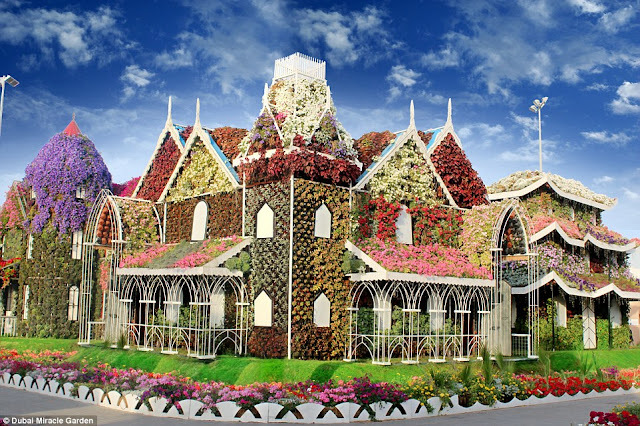 The Hotel was built in June of 2010. 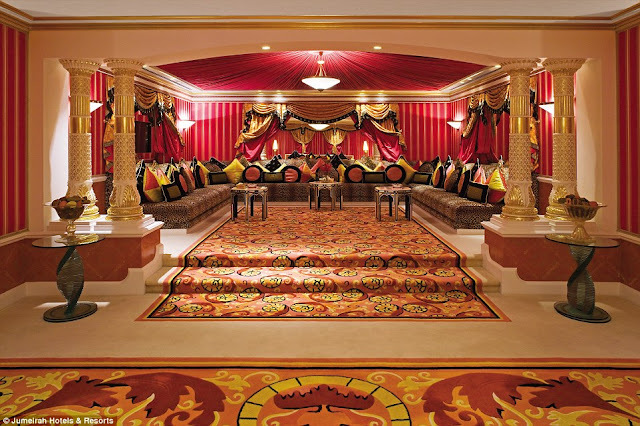 The Hotel has Bar, Restaurant, wedding receptions and conferences. 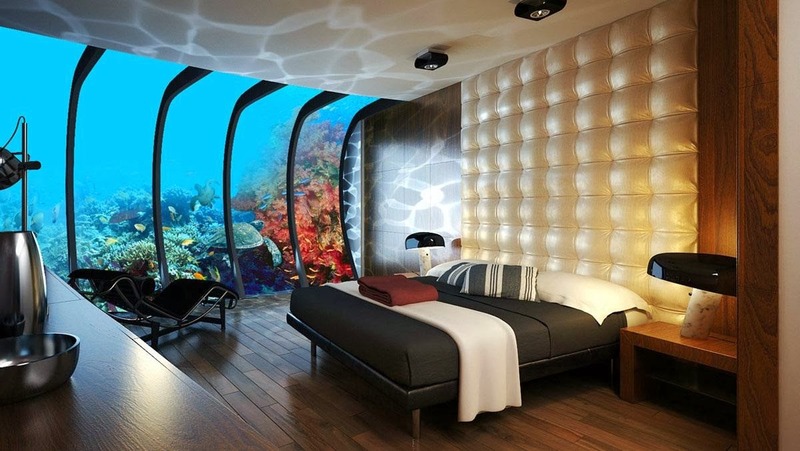 The hotel is separated into three interesting and distinctive areas. 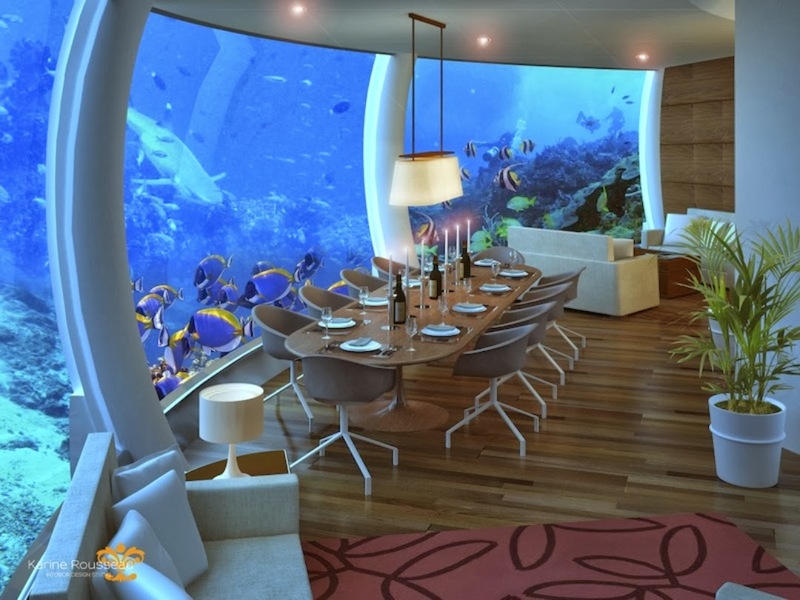 All of those areas are exceptional and holds something that will really catch everyone’s attention. One of the hotels distinctive parts is the land station. 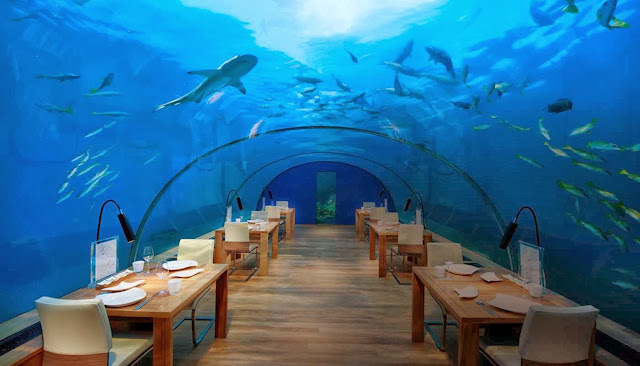 It is a huge tunnel that linked to the main area of the hotel. Tourists are warmly welcomed sincerely and entertained at this area. By means of train, people are transported from the land station to the main area. 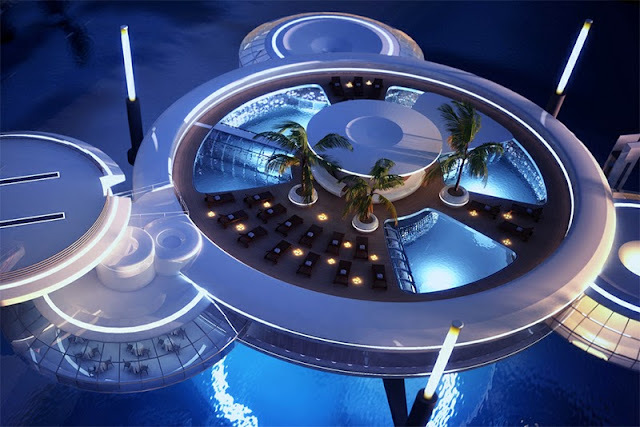 This megaproject hotel’s & resort was designed by Prof. Roland Dieterle that would have been the world's first underwater luxury resort. 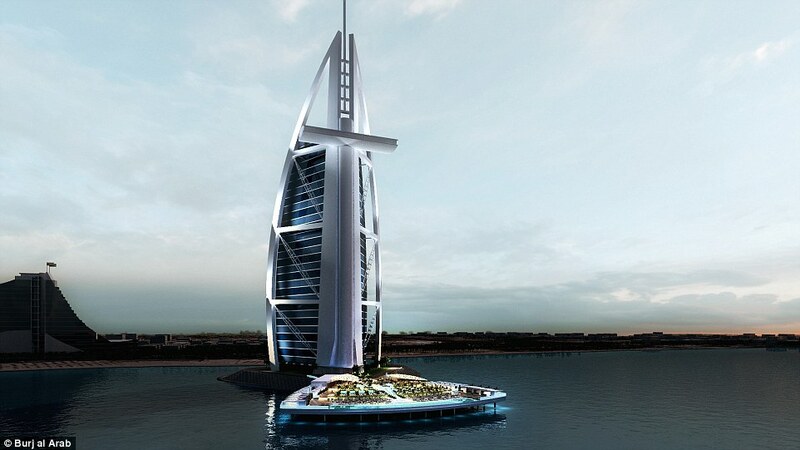 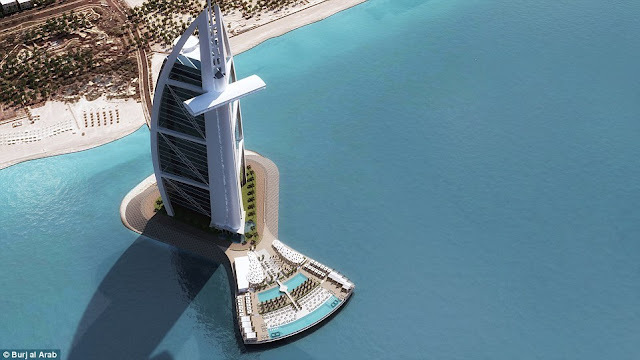 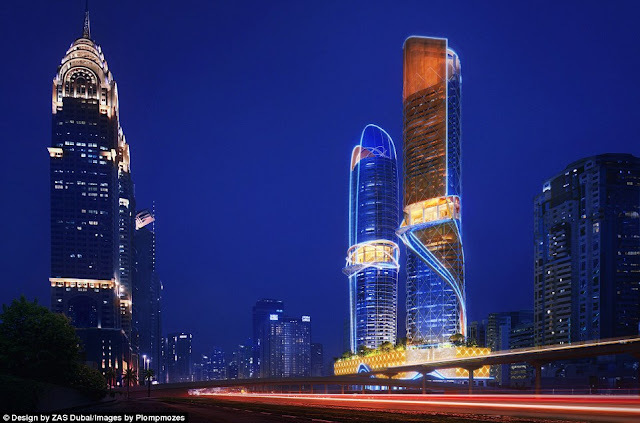 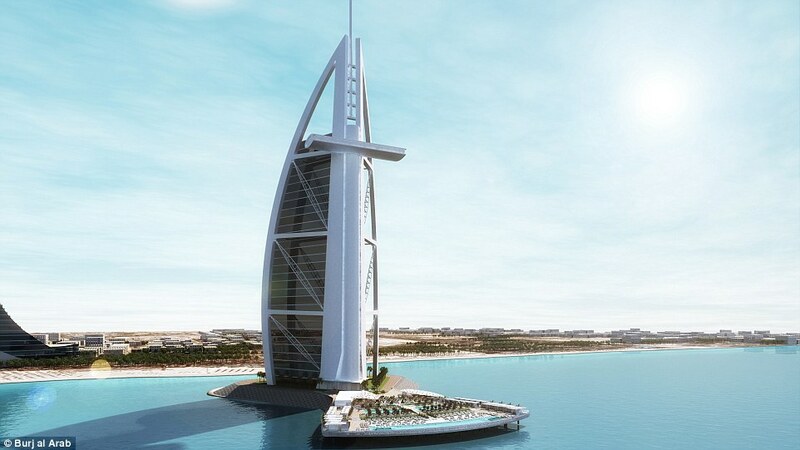 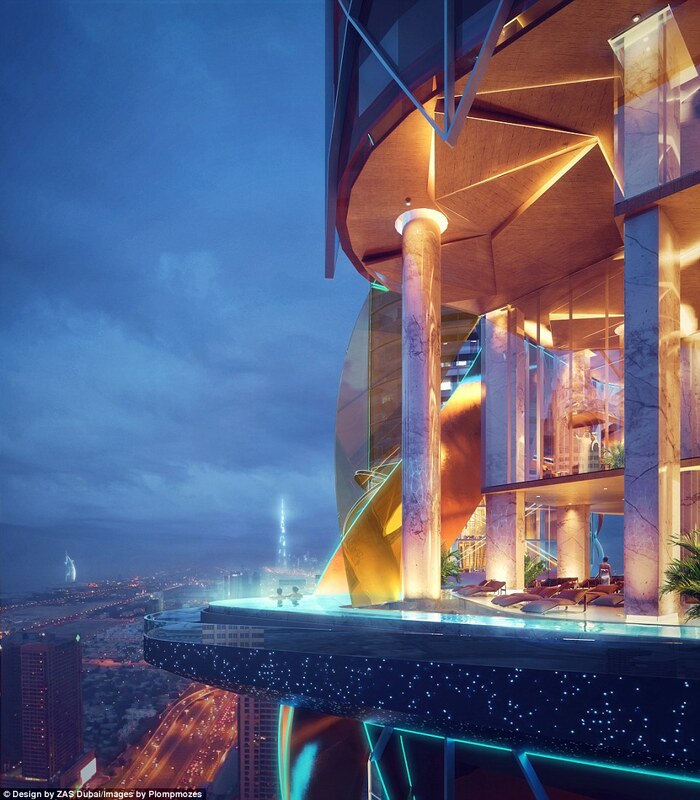 It was planned to be situated 66 feet below the surface of the Persian Gulf off Jumeirah Beach in Dubai, and projected to cost $300 million to construct. 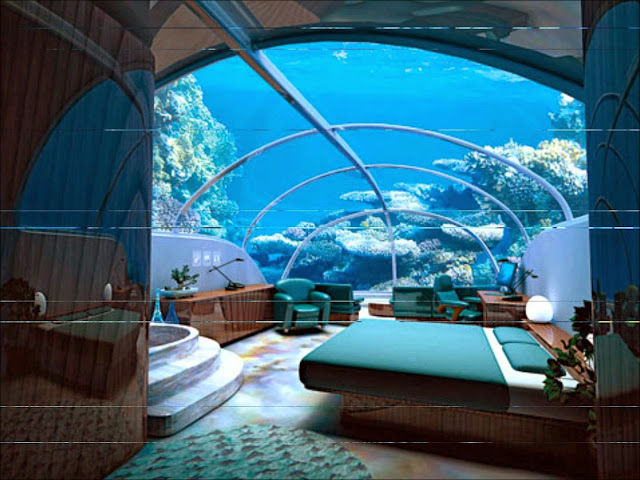 It is explained that there is a magnificent analogy why the hotels architecture is patterned as the human physiology.